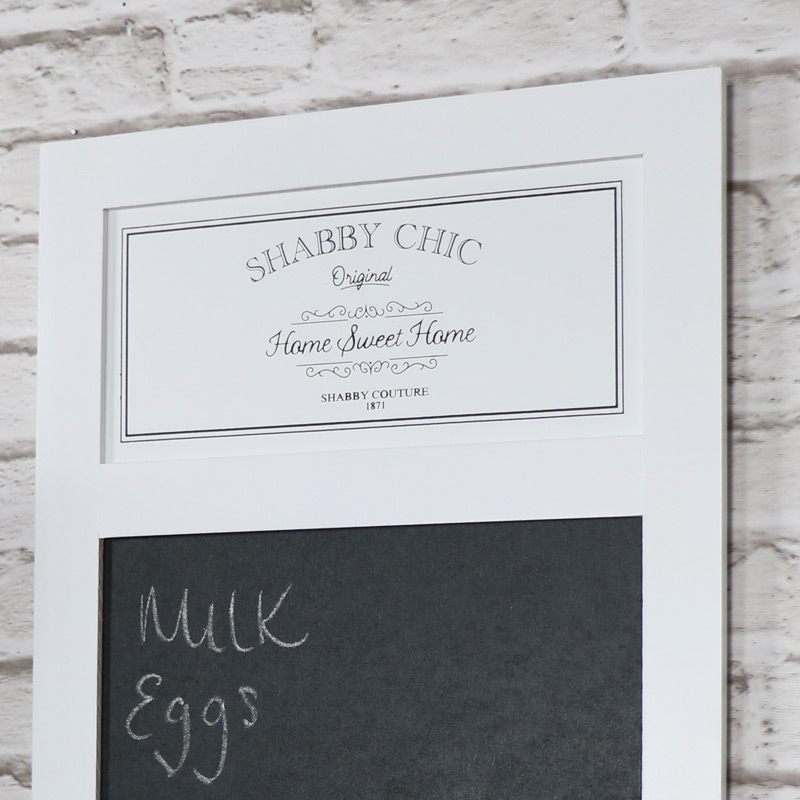 Add some shabby chic charm to your kitchen with the addition of this chalk board. 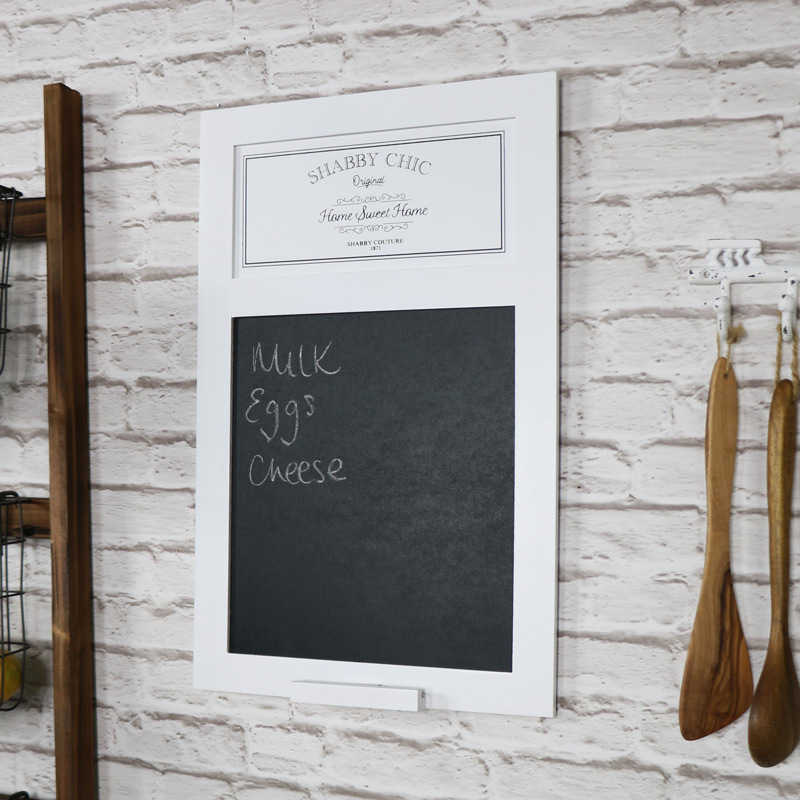 White painted frame with square blackboard for writing memos and notes. Complete with a quaint little plaque on the top that's adds a sweet homely touch. 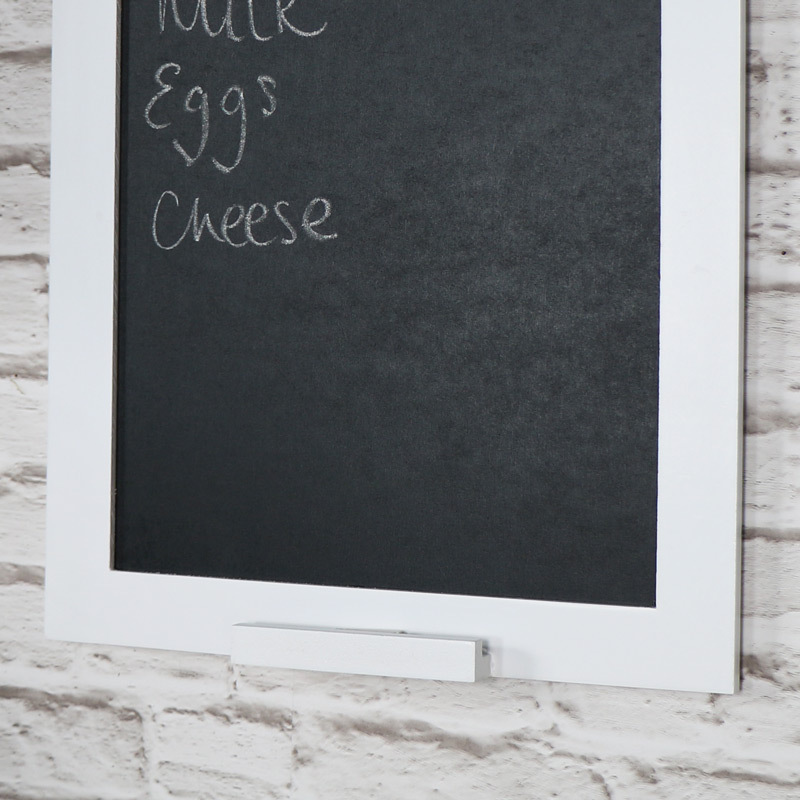 The blackboard is ideal for jotting down shopping lists, reminders and notes with a holder on the bottom for chalk. This chalk board can also be used in a retail establishment such as a bistro or cafe as a menu or specials board to add a homely feel that customers will love. Wooden frame painted in white with black text. Easily wall mounted with 2 D-ring hooks on the back. (Please be aware that chalk pens are unsuitable for use with this board and may stain). A fantastic addition to our great range of chalk boards, memo and note boards. Great value items that are both practical and stylish.